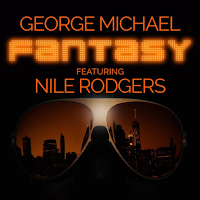 Sony Music proudly presents 'Fantasy', a new single by George Michael featuring Nile Rodgers! It is released today following its world premiere on BBC Radio 2. 'Fantasy' was originally released as a b-side on the 'Freedom '90' single in 1990 and later appeared on the 2011 remastered (deluxe) edition of Faith. 'Fantasy' was supposed to appear on 1990's 'Listen Without Prejudice Vol 1.' and was intended to be one of the singles from the album, but somehow it got lost in the ether. While working on the reissue of 'Listen Without Prejudice' alongside his MTV Unplugged performance, George Michael chose 'Fantasy' as the lead single and sent the track to Nile Rodgers in early 2016 to rework. In the days before his death George was also working on a documentary about his career, entitled Freedom, which he also narrates. Commissioned by Channel 4 and BBC Worldwide, the film features Stevie Wonder, Elton John, Liam Gallagher, and Mark Ronson, and is released soon. The Fantasy single and Freedom documentary were part of George Michael's planned comeback which also included plans for a remaster of 1990 album 'Listen Without Prejudice Vol 1.' George's sisters are continuing the works "exactly as Yog would have wanted", and the reissue of the classic album will be released on October 20.